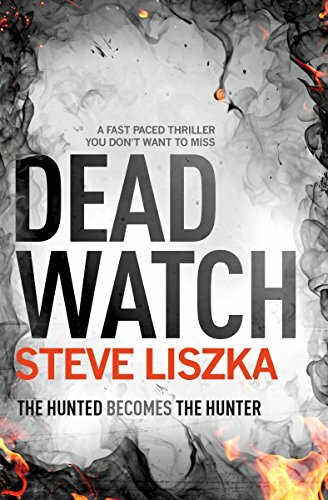 I love a story that takes a different path than the norm’ and that is what Steve Liszka has done with his book. This is a story about Red Watch, who make up one of the shifts of firefighters in East Brighton, or Dead Watch a nick name they acquired by being the watch that seemed to attend the highest number of fatalities. They are a mixed bunch from a wide spectrum of backgrounds that have a real wicked sense of on the cuff humour. They are the good guys right? But one night a few of them have the chance to grab a life changing opportunity, when they are first on the scene at a fatal road traffic accident. A snap decision moves them from heroes to wanted men and woman by a bloke that you just don’t cross. It’s not like they can go to the police, not unless they all want jail time themselves. This was tense, very tense, whoa these guys were going down that never-ending spiral of up to your neck in it, faster than a fireman’s pole! and boy I really didn’t like the mystery man when he turned up, even on paper, in real life I would have been bricking it! Now one thing that really shines through the story is how these firefighters have each others backs. I suppose that the situations that they face each day make it second nature. Some of them may be darn right angry at their fellow workers stupidity but they are a team. This is another of those books that I find myself cringing and giving advice out to the characters, all to no avail! This is a super story with a real different edge to it. Love how the author has used his own personal work experience, just the firefighting side of course, to centre the story on. It all works a treat!